Would bill to protect energy infrastructure stifle protests? Imposing long prison sentences on people who interfere with the operation of critical industrial infrastructure and fining organizations that support them will protect Wyoming, say supporters of a bill introduced in the state Senate. 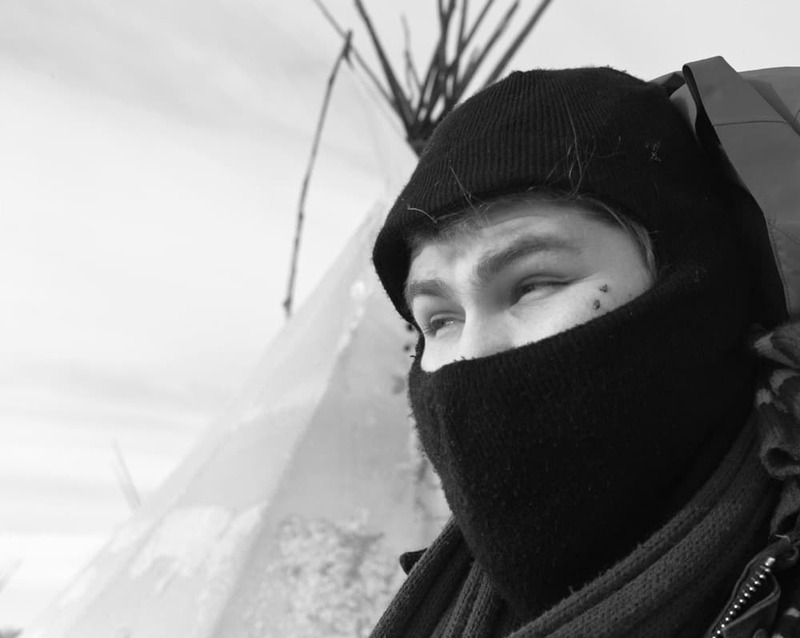 Critics contend the bill really aims to block free speech and civil protest such as the anti-pipeline protest that captured the country’s attention near the Standing Rock Indian Reservation in North Dakota in 2016. The Wyoming Senate introduced Senate File 74 Wednesday. The bill would make impeding or inhibiting “the operations of a critical infrastructure facility” a felony with a maximum 10-year prison sentence and impose fines of up to $1 million on any organization supporting or even encouraging such activities. Lawmakers say the bill will deter would-be “ecoterrorists” from sabotaging the unguarded energy and communications infrastructure that dots Wyoming’s landscape. The bill was proposed by business interests and national law enforcement groups, sponsor Sen. Leland Christensen (R-Alta) said. It’s language mirrors model legislation written by the American Legislative Exchange Council (ALEC). Other clones of the ALEC legislation are pending in several other states. Critics slammed the draft legislation, saying the wording is dangerously broad and designed to suppress dissent to energy development. “It is about particular people in [state] government not liking what they see across the country and not wanting it to happen here,” said Sabrina King, policy director of the American Civil Liberties Union of Wyoming. 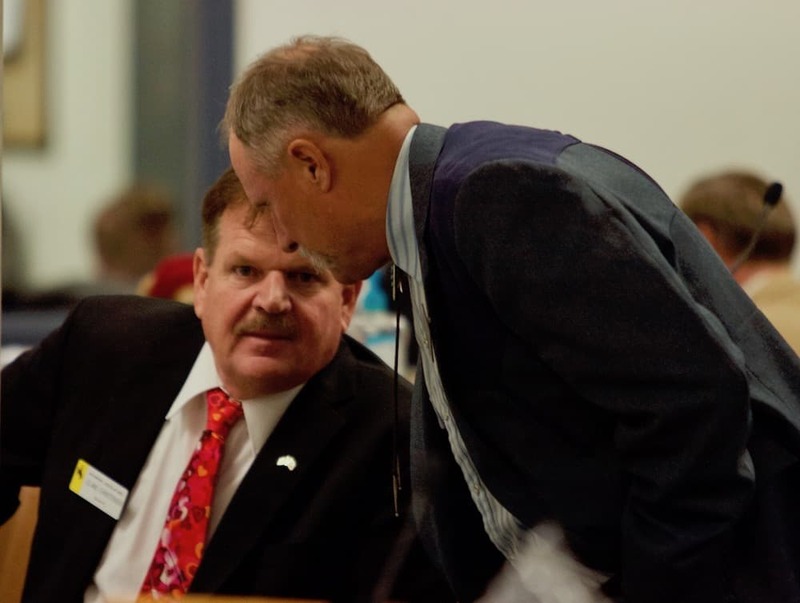 The legislation was another example of ALEC wanting to “jam everything down everybody’s throats,” said Kim Floyd, executive secretary of the Wyoming AFL-CIO, a confederation of labor unions. He called the bill an attempt by business interests, particularly oil and gas, to disenfranchise environmental organizations. Senate File 74’s definition of critical infrastructure centers around facilities associated with energy development, including above-ground pipelines, power plants, dams and electrical substations. Any organization that “aids, abets, solicits, encourages, hires, conspires, commands or procures” someone to impede or inhibit critical infrastructure could be fined up to $1 million. The measure has significant support in the Senate. Christensen, a former deputy sheriff, recently announced his candidacy to become Wyoming Secretary of State. He secured six senators as co-sponsors for the bill, including Senate President Eli Bebout (R-Riverton) and Senate Vice President Michael Von Flatern (R-Gillette). Eight members of the Wyoming House of Representatives also co-sponsored the bill. On Wednesday, it easily passed an introductory vote in the Senate. Two Democrats joined Sen. Cale Case (R-Lander) as the only no votes. Both Christensen and Sen. Ogden Driskill (R-Devils Tower), a bill cosponsor, said the bill did not originate from the Standing Rock protests of the Dakota Access Pipeline. “That was a pipeline protest,” Driskill said, “about a pipeline going in.” The protest wouldn’t have fallen under the purview of SF-74 because it wasn’t about existing infrastructure, he said. There have been no attacks on “critical infrastructure” in Wyoming that Driskill can remember, he said. But Wyoming’s energy and utility infrastructure is vulnerable, he said, where pipelines, oil and gas drilling equipment and communications towers sit unguarded on the empty prairie. Today’s trespass laws aren’t strong enough to stop saboteurs, Driskill said. Trespass laws typically carry fines ranging between $250 and $700. “In this day and age that’s not enough to be a deterrent,” he said. The bill’s lone Democrat sponsor, Rep. Stan Blake, disagrees with the senators, however, regarding the bill’s origins. He said the Standing Rock protests helped drive the bill. “I’ve been hearing that it’s because of the Dakota pipeline,” he said. Blake also said the bill originated with ALEC, which he hadn’t known when he chose to sponsor it. Blake, a railroad conductor and labor union member, signed on to the legislation thinking of unions like the International Brotherhood of Electrical Workers, he said. “They don’t want anyone breaking into substations and power plants,” he said. On ALEC’s website, an article introducing the model bill referenced vandalism to the Dakota Access Pipeline in Iowa, but not the Standing Rock protests. The model bill was based on legislation that passed in Oklahoma, according to the website. Similar bills have been introduced in Ohio and Iowa. Other bills related to protecting infrastructure or enhancing sanctions against protesters failed in Colorado, Illinois and Pennsylvania in 2017, in Alabama in 2016 and in Maine and Louisiana in 2015, according to WyoFile research and an analysis by the International Center for Not-for-Profit Law. The ICNL tracks anti-protest legislation in various states. The organization includes SF-74 on its list. While SF-74 closely mirrors ALEC’s model language in some places, in others it is broader. The definition of “critical infrastructure” was expanded to include data centers, supercomputing facilities and mines. The $1 million fine for organizations that encourage or support “impeding critical infrastructure” appears unrivaled elsewhere. Christensen said the bill is not about stopping protests. “I don’t see that in the spirit of this law at all,” he said. But opponents say the bill’s language doesn’t make that distinction. King, the ACLU lobbyist, pointed to a statement Christensen made while introducing the bill when he said that existing trespassing law is not sufficient, to deter someone “out trying to change, basically our culture,” Christensen said. “That’s what this is about,” King said. Particularly onerous is the ability to punish organizations that might “encourage” a protest action that impedes infrastructure operations, King said. The language could be used to punish organizations that support fossil fuel protests, she said. During the Standing Rock protests, various Wyoming organizations sent supplies or raised money to send people to join the protest camps. The Wind River Native Advocacy Center is a nonprofit dedicated to empowering tribes and Native Americans in Wyoming. The group raised funds to send Wyoming tribal members and supplies to Standing Rock, a watershed cultural moment for Native Americans, Director Lynette Grey Bull said. Under the bill’s language, that could have made the group vulnerable to a $1 million fine, King said. Jill Morrison, an organizer with the Powder River Basin Resource Council, said her organization is still analyzing SF-74. But she worried the bill’s language creates a legal cudgel that industry could use against environmental organizations like hers. The state already has trespass laws and other criminal penalties that apply to anyone who interferes with energy infrastructure, she said. “What’s raising red flags for us is that it goes beyond that to try and chill free speech or rope organizations into being vulnerable to some kind of unjust accusation we would have to defend against,” she said. The Sierra Club Wyoming Chapter sent an email to its members asking them to lobby against the bill. The bill is “explicitly designed to crush public opposition to projects like the Dakota Access and Keystone pipelines, by preventing the kind of protests that occurred at Standing Rock,” chapter director Connie Wilbert wrote. Floyd, the Wyoming AFL-CIO secretary, said the bill wouldn’t directly impact labor unions, which conduct their protests on streets and other public spaces. Still, the language about organizations worries him. If a union member acts on his own to vandalize infrastructure, the legislation could possibly be used against the union itself, he said. “This is basically a shot across the bow, trying to scare us away from doing any kind of protests at all,” he said. Bill proponents said concerns about free speech and protests could be dealt with as the bill is worked on by legislative committees and goes through various amendments on the floor. “The idea is not to cast a loop that goes around people who are just following their rights,” Christensen told the Senate. If lawmakers supporting the bill are motivated by events at Standing Rock, it’s not the first time the protest has raised concerns among state officials about a similar event happening in Wyoming. During the Standing Rock protests, the Wyoming Highway Patrol sent six state troopers to assist North Dakota law enforcement, according to documents acquired by news site Muckrock. The agency also considered sending two other troopers to observe. Discussing the observers’ deployment, Field Operations Commander Major Keith Groeneweg wrote he believes a similar protest is inevitable here. “We acknowledge it is simply a matter of time before something like this hits Wyoming, since we have very similar cultural and natural resource makeup,” Groeneweg wrote. The WHP did not send the two observers, according to a report in the Wyoming Tribune Eagle. Some members of the Northern Arapaho and Eastern Shoshone tribes traveled from the Wind River Indian Reservation to join the protest at Standing Rock. Micah Lott is a fossil fuel protester and Northern Arapaho tribal member. Lott began his activism at the Standing Rock protests. The passage of SF-74 wouldn’t deter him, he said. Civil disobedience is a way to be heard when a person finds that ordinary activism such as public meetings or discussions with their elected representatives has little effect, Lott said. “Even if [SF-74] was to pass this wouldn’t stop me from continuing to do the work I do,” he said. Lott has been arrested at protests four times. Two of the arrests were at Standing Rock, where he was charged with misdemeanors, he said. Today, he continues his activism with a group called the Sunrise Movement, focused on pushing the U.S. to prioritize confronting climate change. This summer, Lott said he’ll go to trial for his Standing Rock arrests. He intends to invoke Native American treaty rights in his defense, Lott said. “I honestly think this is trying to vilify people trying to protect their communities,” he said of the bill. Angus M. Thuermer Jr. contributed to this report. Editor’s note: This story was edited to provide links to specific bills considered in several other states over the past three years. The initialization for the International Center for Non-Profit Law (ICNL) was corrected.